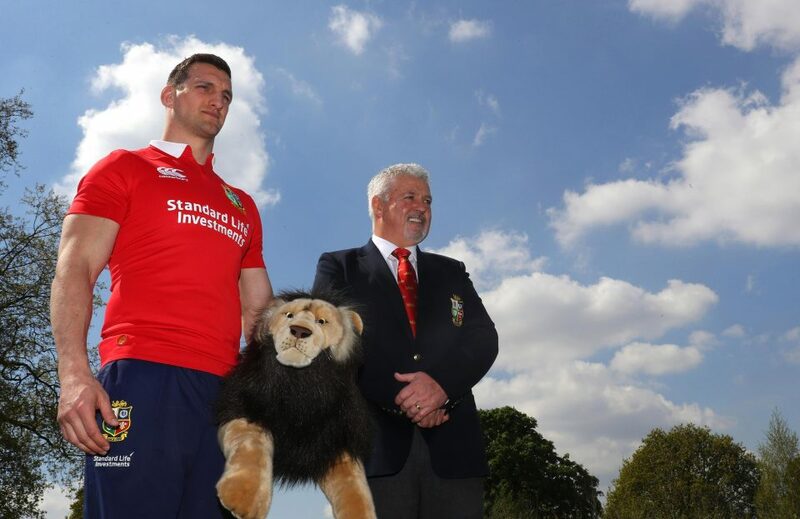 Sam Warburton will lead the Lions out on Saturday in the opening fixture of the 2017 British & Irish Lions tour of New Zealand. Warburton is leading his second Lions tour and is targeting back to back series wins for the first time for a Lions captain and he’s certainly got his work cut out. The All Blacks are the deserved Rugby World Cup holders and have been playing like World Champions for several years now. Arguably they are even stronger now than they were back in November 2015 when they retained the Webb Ellis Cup at Twickenham. The road to Auckland for the three match test series starts tomorrow with an opening fixture against a Provincial Barbarians XV side featuring representatives from 14 of the provincial unions in New Zealand. The side is captained by Otago’s Sam Anderson-Heather and features first five eighth (fly-half) Bryn Gatland who is the son of current Lions Head Coach Warren Gatland. The Lions match day squad features 14 new Lions caps alongside some experienced campaigners to help steady the ship in what is expected to be the easiest assignment on the tour. No fixture on this tour is going to be “easy”, with the Lions facing all five Super Rugby sides, the New Zealand Maori and the All Blacks, but with this provincial side represents a comparatively gentler opening. Having said that, this is New Zealand. These guys are all former Super Rugby players, or players knocking at the door of the Super Rugby franchises. There is no better shop window for them than to face the Lions and put in a fantastic performance, so they will be doing their best to impress the watching world. An “easy” match this is not! In particular the combination at fly-half and inside centre (or first and second five eighth) is going to be key. The experienced pairing of Gatland and Dwayne Sweeney will really test the new Lions combination of Johnny Sexton and Ben Te’o. The Irishman will need to harness all of his 66 caps for Ireland to lead the less experienced Te’o in what is expected to be quite a test for the Lions. The game represents a good chance for some Lions to put a stake in the ground and show that whilst it’s all been fun so far, now the real business is starting. It’s a chance for these players to learn what becoming a Lion is all about. The match is not going to be tricky. The Lions need to put down a marker and will be keen to minimise the pressure that will undoubtedly be put on them by an enthusiastic and committed Provincial side. By 9.30pm on Saturday night, these new Lions will know that the 2017 tour has really started.